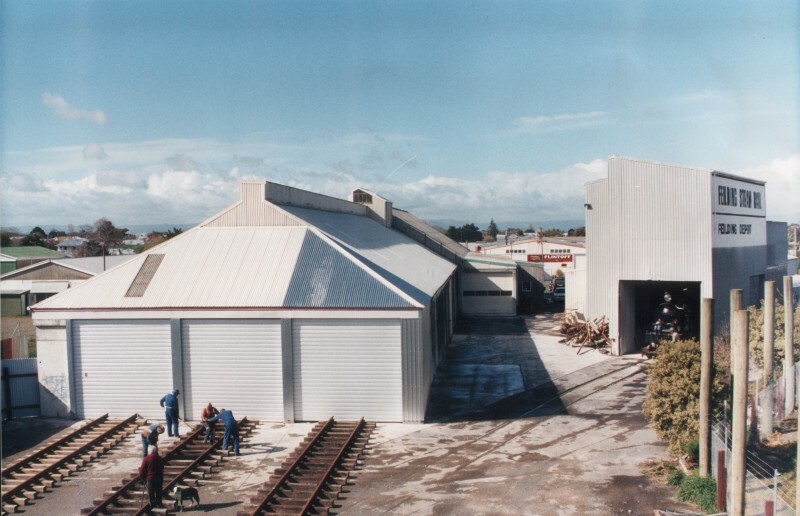 The Carriage Shed is the largest shed that was on the site when we purchased the depot. It was used by Ravensdown to store the different types of fertilisers. In the roof was a conveyer belt that put the fertiliser in the correct place. 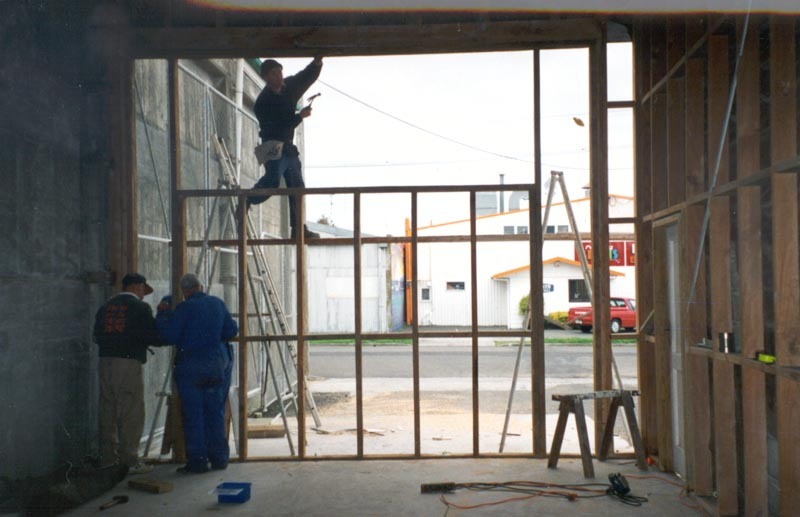 We have since altered it to met our needs, which included removing divider walls, making new doors, filling in unwanted doors and installing 3 lines of rail. We have created a woodwork workshop as well. 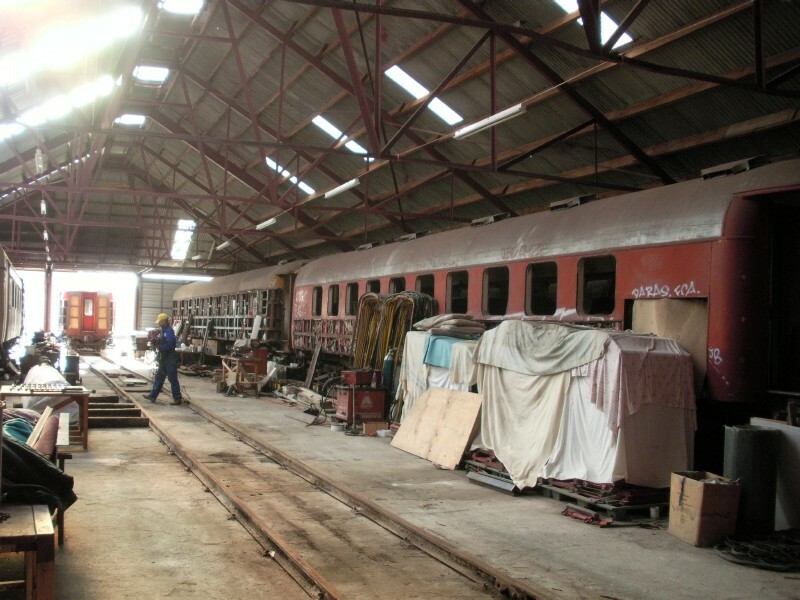 As well as storing the carriages out of the weather, the shed is also used to restore carriages. The orginal iron had rusted badly in the corrisive fertiliser enivronment, and the ends and joins were very badly wasted. New long run iron was fitted and now the shed stays dry, unlike before when large puddles formed. 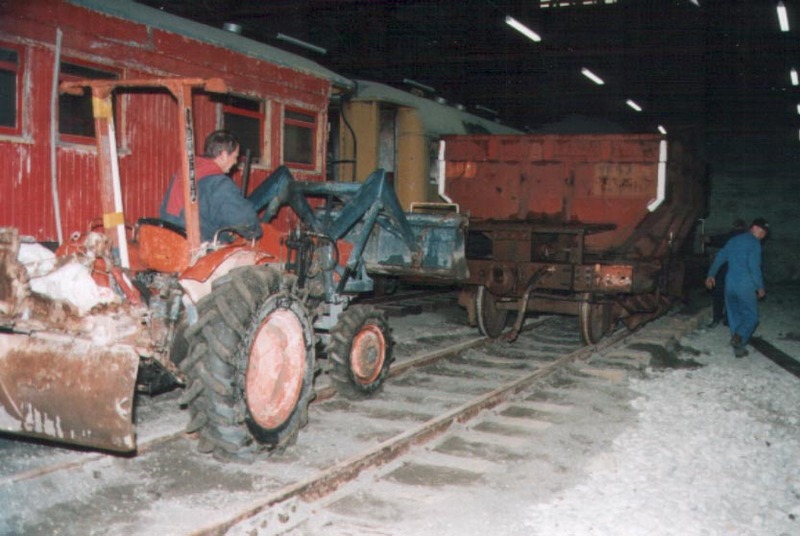 We used our ballast wagons to ballast one of the tracks in the shed. We needed to ballast inside the shed because there was a height difference at one end. 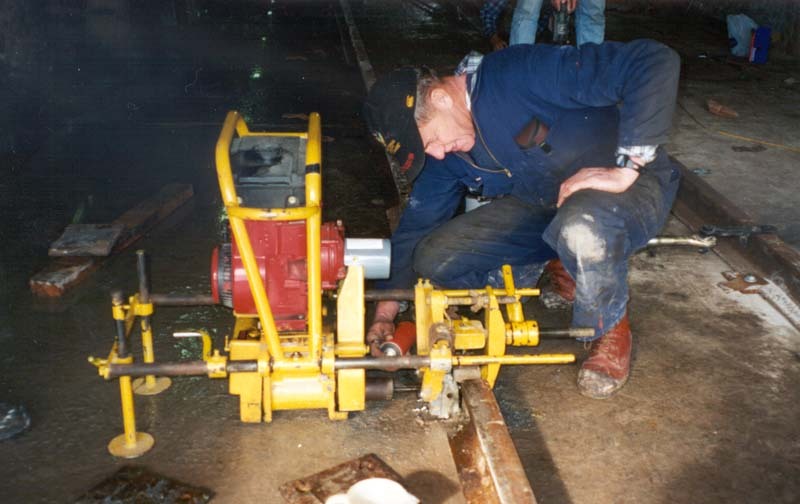 The rail needed to be gas cut to fit on the truck when it was transported to our depot. And now it has been laid it needs to bolted back together, which involves drilling new holes. 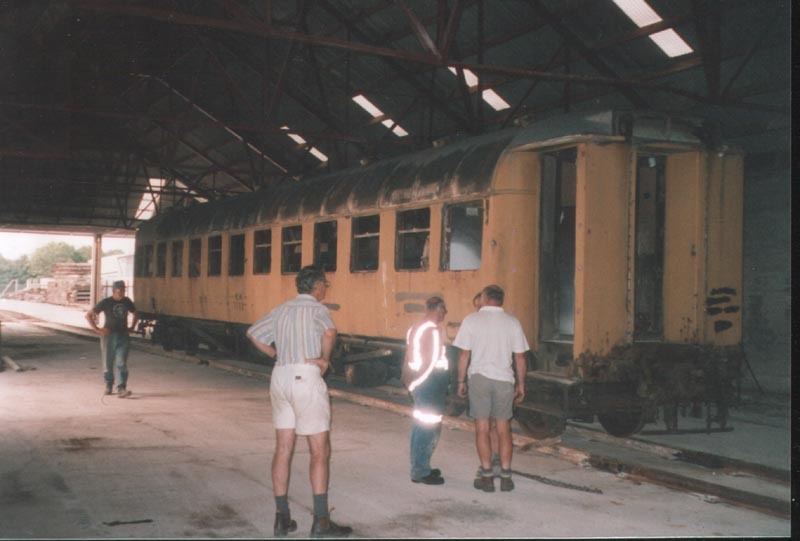 The main carriage shed had an annex with a weigh bridge in it, thus opening at both ends for the trucks. The problem is one end has a gate and was quite cold and drafty, so we have walled it in. This area is to become the engineering workshop floor. We already have a good sized lathe and are looking for more large engineering equipment. All three lines have been laid in the shed now (only two when picture was taken) and we have most of the wagons under cover. 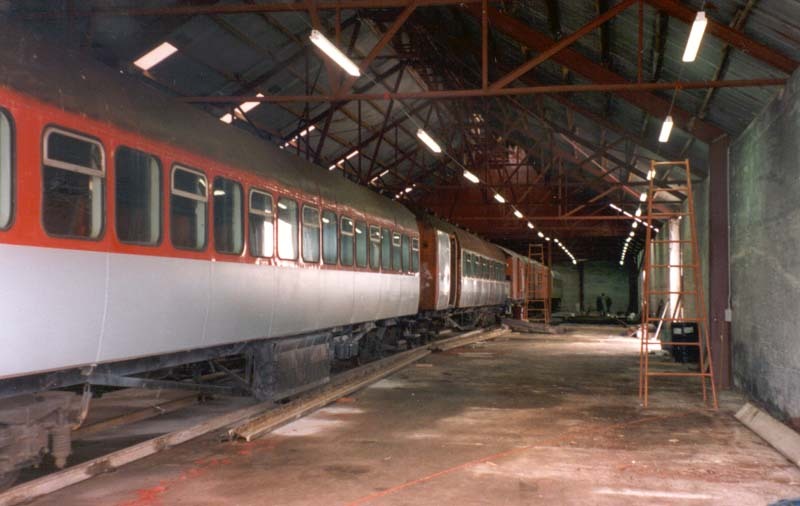 We have been refurbishing our wagons, removing corrosion and old paint then repainting them. 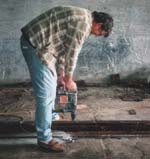 John Cannon is drilling holes in the concrete floor to fasten track to floor. 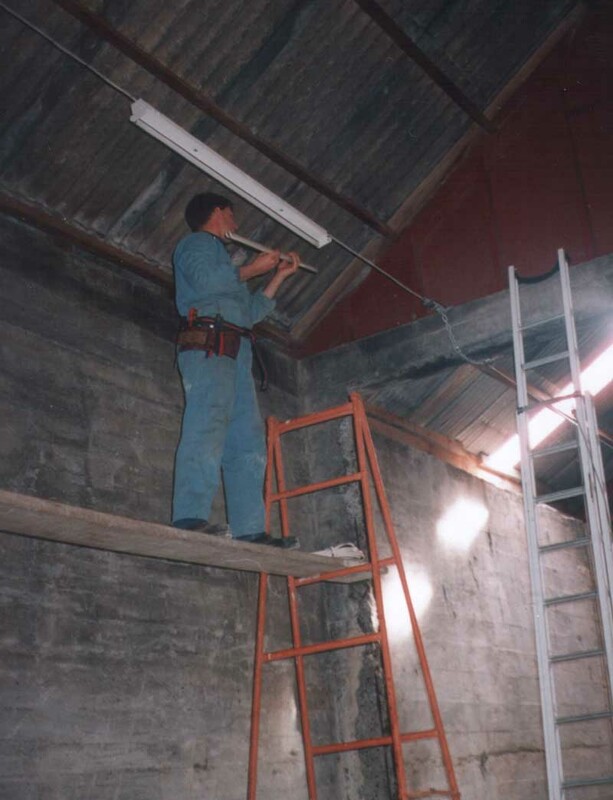 There was not much lighting in the big shed when Ravensdown were using it and we are installing three rows of lights along the full length of the shed. 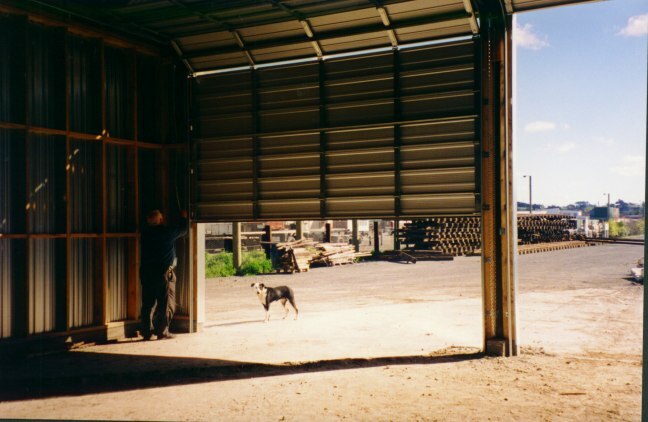 Michael Ireland is busy fitting these and they will make the shed very easy to use at night. With temporary yard trackage outside the shed installed we were able shunt all of our rolling stock into the shed to prevent the windows getting broken by the local kids. Thats if any windows are left unbroken. Some of the shed has track on sleepers and some is bolted directly onto the concrete floor. 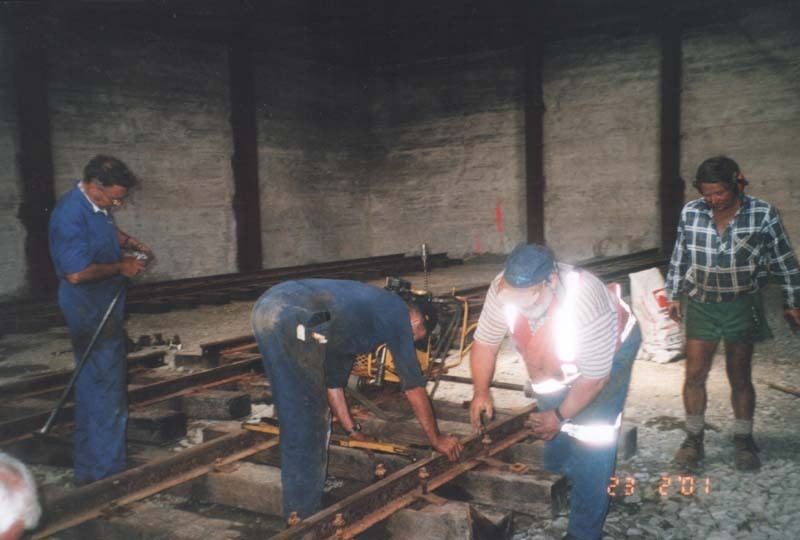 Here you can see the track sets being bolted together. Kelvin Little used his digger to remove as much fertiliser as possible to prevent it coming through the ballast that is to be laid. We have removed an external wall and made a minor extension to it. This is to make the three large doorways for the locomotives to use. Here you can see our president (Russell Wiseman) testing the newly installed doors fitted in the new doorways. 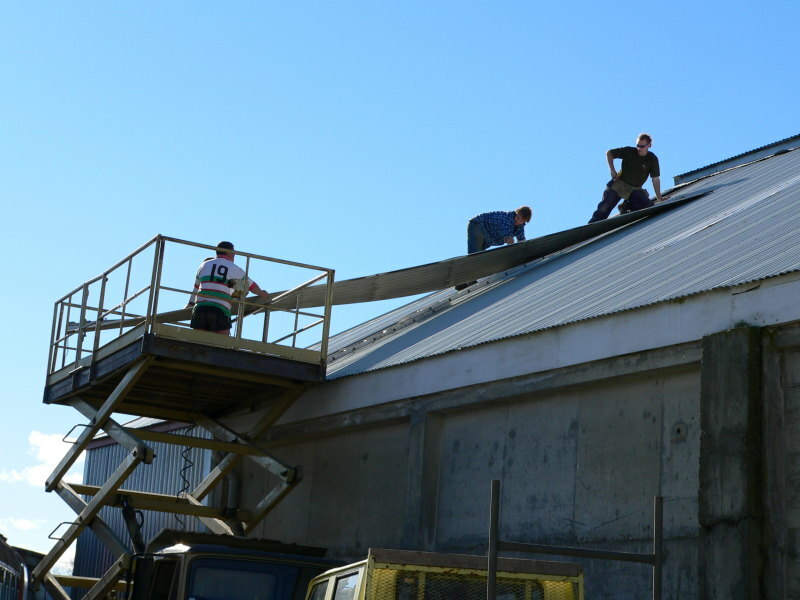 We made major structural changes to the large fertiliser building. 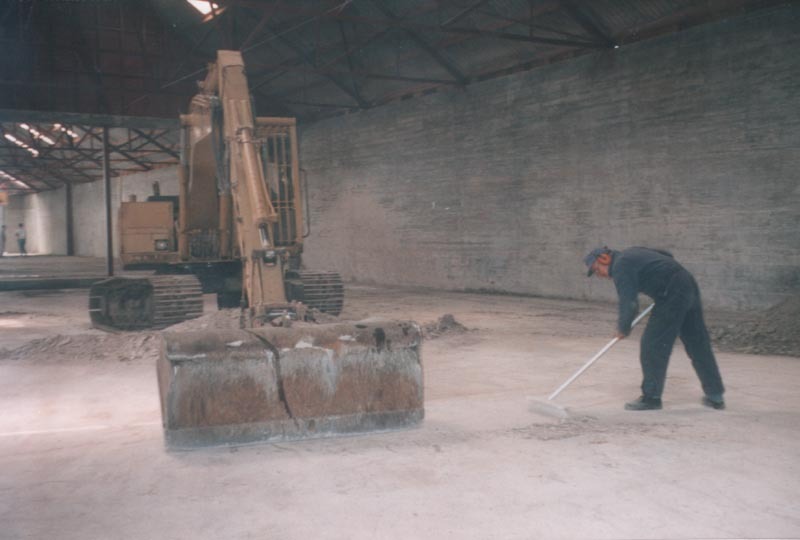 We have removed all of the internal walls that once seperated the fertiliser. 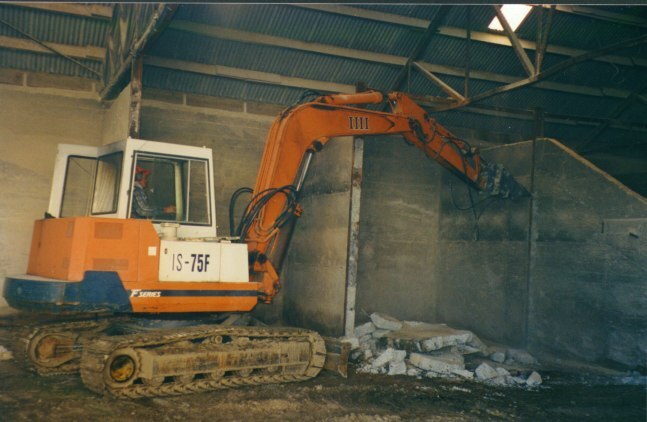 This picture shows Owen Rush removing the walls with his digger.